Survey Voices Review – Can You Make Money With Survey Voices? 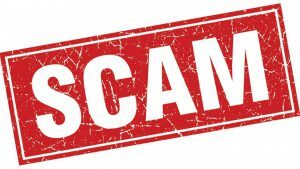 Survey Voices Review – Is Survey Voices a scam? Owner: Reward Zone USA LLC. So I signed up for Survey Voices the other day because I wanted to find out for myself if you could earn money online with the Survey Voices program. 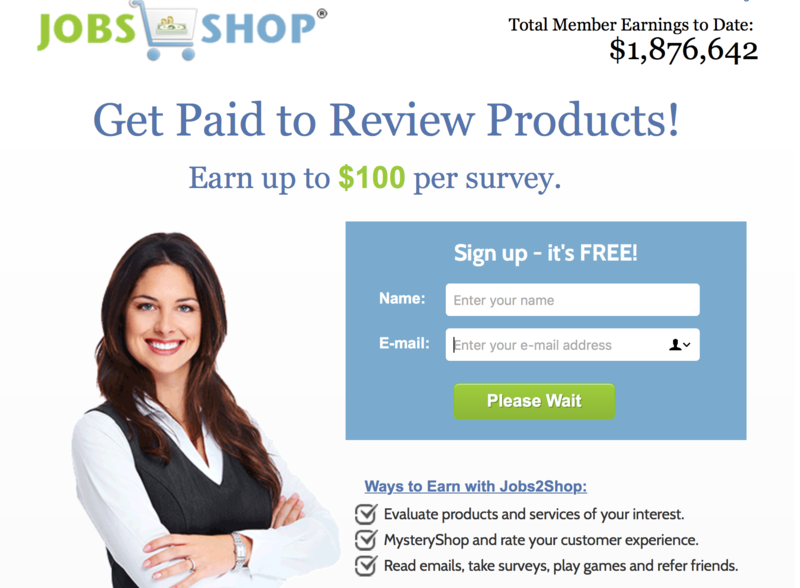 They make some pretty boastful claims of being able to earn up to $300 per day taking surveys. What is Survey Voices? Is Survey Voices legit? I quickly figured out what Survey Voices is all about. They are a program that earns commission by getting people like you and me to sign up for programs, offers, and other survey websites. I of course put a bunch of made up information into this form and gave them a junk email address that I use for situations such as this. There are 11 pages of these ‘offers’. I went through all 11 pages checking the ones that I would be interested in. Most of the offers are junk though, so I didn’t end up with very much. I played along, and made another account. Once inside I was asked to go through another series of ‘offers’ and select which ones I was interested in. Sound familiar? I basically went from one program that was trying to make money off of me (Survey Voices) to another program that was trying to make money off of me (Job2Shop). What is really going on with Survey Voices? The experience I described above is pretty typical with websites like Survey Voices. Its like you get caught in a endless loop of sign up forms and endless pages of offers. They continually entice you with promises of making money taking surveys. $100 per day! $300 per day! So that you will continue on through this endless cycle. It can be very frustrating! Is Survey Voices a scam? Based off of my experience and research, yes I would say that Survey Voices is a scam. Survey Voices is a scam designed to exploit your personal information, and make money off of you by referring you to other programs, and getting you to sign up for offers. I know why you are here! Sorry to break the bad news about Survey Voices. 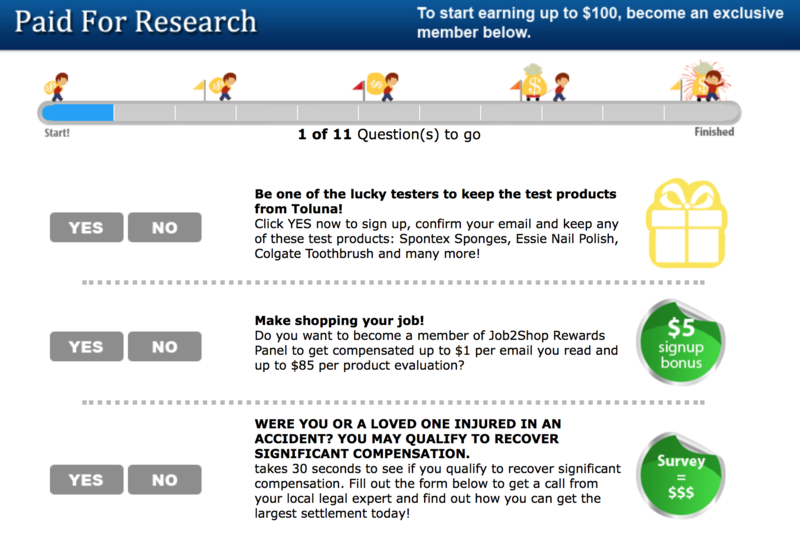 I once tried to make extra money online by taking surveys. There is some legit survey websites out there, like this. But the problem with taking online surveys is that they are VERY time consuming, and the income potential is quite low. My guess is that you are interested in making money online. If I am right, I want you to check out this program. Its a program that I used to build a online business that earns me a full time income. No more endless surveys, or scam offers to deal with. The best part is its FREE! Tell me your experience with Survey Voices in the comments below.